Reduce paper usage and recycle paper via my Lions Club. Reduce waste of resources like toner. Be more efficient with energy usage. David has been in the accounting and tax business for over 19 years. 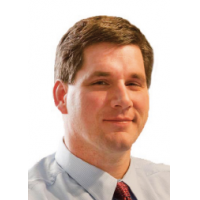 His company, David A. Snyder CPA, PLLC, is an affiliate of E.R. Taxes, LC. specializing in creating business plans, asset protection and tax preparation for individuals as well as corporations. David retains a B.S. degree from Frostburg State University and an M.B.A. from the University of Baltimore. 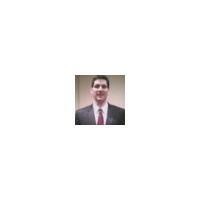 David is a Certified Public Accountant (CPA) and has held a Certified Valuation Analyst (CVA) credential. David had extensive leadership training in the US Army and likes tohelp those who have also served the country. As a prior Controller of numerous companies, David has extensive knowledge of budgeting, strategic planning, operations and financial management of small and medium sized businesses. He believes in legally minimizing the tax burden of his clients and helping in protecting their assets. David is a Baltimore Ravens fan and his other interests include history and current events. David is the President of the Prescott Sunrise Lions Club and a Board Member with Big Brothers Big Sisters. His wife, Michelle, and he have two children (Annie and Sam) and reside in Prescott Valley, Arizona. I have extensive experience in tax preparation and planning, financial statement audits and reviews, Representation of clients with the IRS and AZDOR, business valuations and as a Controller for several businesses. This experience has put me in a unique position to help you grow your businesses in a proactive way while maintaining a reasonable tax burden. Please contact me at 928-445-0104 x9 or at dsnyder141414@yahoo.com. Most businesses typically use one of two basic accounting methods in their bookkeeping systems: cash basis and accrual basis. While most businesses use the accrual basis, the most appropriate method for your company depends on your sales volume, whether or not you sell on credit, and your business structure. The cash method is the most simple in that the books are kept based on the actual flow of cash in and out of the business. Income is recorded when it is received, and expenses are reported when they are actually paid. The cash method is used by many sole proprietors and businesses with no inventory. From a tax standpoint, it is sometimes advantageous for a new business to use the cash method of accounting. That way, recording income can be put off until the next tax year, while expenses are counted right away. With the accrual method, income and expenses are recorded as they occur, regardless of whether or not cash has actually changed hands. An excellent example is a sale on credit. The sale is entered into the books when the invoice is generated rather than when the cash is collected. Likewise, an expense occurs when materials are ordered or when a workday has been logged in by an employee, not when the check is actually written. The downside of this method is that you pay income taxes on revenue before you've actually received it.